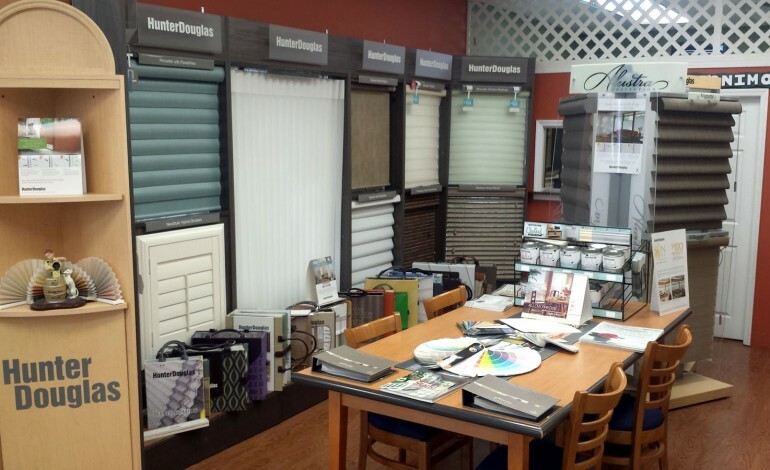 At Red Star Paint and Decorating Center we are proud to be a certified distributor and in-home installer of what we believe are the finest window treatments on the market today: Hunter Douglas. From traditional roller shades to innovative sheer shadings, Hunter Douglas has the perfect window treatment for every room in your home. And because they are custom-made for you, they will be the right size for your windows. Horizontal and vertical blinds from Hunter Douglas come in wood, wood alternative, aluminum, vinyl and fabric. The offer a wide range of light control and privacy options and are available in numerous colors. Shutters are another great choice for rooms that require different levels of light control and they add value to your home. Hunter Douglas also offers honeycomb shades, which are some of the most energy-efficient window treatments on the market. Their cellular structure traps cold air before it enters your home and keeps the heat inside to increase your comfort and reduce your utility bills, making them perfect for New Jersey winters. For a luxurious look, try sheer shadings. Silhouettes have two sheer panels with horizontal fabric vanes that can be left open for filtered light or closed for more privacy. Pirouettes have one sheer panel with loops of fabric that can be adjusted accordifreng to your light control needs. For sliding glass doors, Luminettes have sheer fabric with more opaque fabric vanes that run vertically. They can easily be drawn to the side like a traditional vertical blind to allow use of the door. If you like the look of draperies, but the location of your windows makes lengths of loose fabric impractical, Roman shades may be just what you need. They provide the softness of fabric but stay within the perimeter of your windows. In addition to the many window treatment options, Hunter Douglas also offers numerous operating systems. Each blind or shade comes with a standard operating system that will allow you to easily adjust it, or you can upgrade to a cordless or even motorized system to make adjusting your window treatments effortless. These beautiful Hunter Douglas window treatments with amazing features are proudly made in the United States and their quality is guaranteed for life. As certified installers, we first visit with you at home to obtain precise measurements, and then guarantee our workmanship along with the product. To learn more about each Hunter Douglas window treatment, click the images below for descriptions and room location ideas. 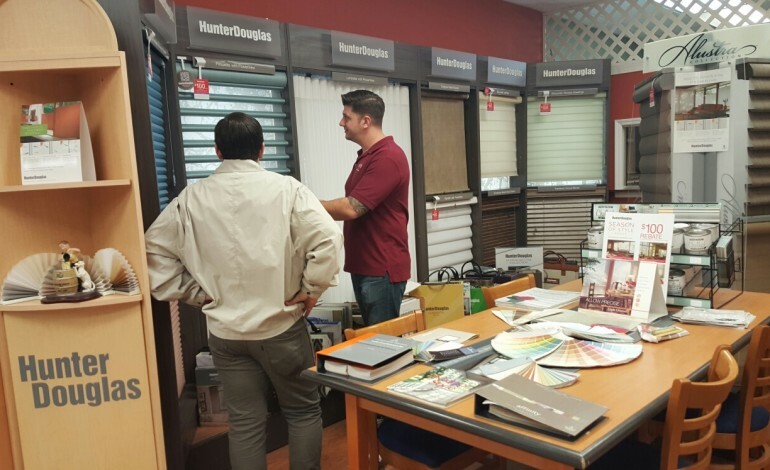 Then come into our showroom in Montclair, New Jersey and experience them first-hand with one of our trained staff to determine which of these Hunter Douglas window treatments would work best for your specific need. Whether you require room darkening, energy efficiency, or simple light filtering, Red Star Paint has the perfect custom window treatment for any window in your home.